the outer edge of the underside of the hind wing. Below is a picture of two blue morphos that show both sides of the wings. There are reddish markings at the bottom of the open wing but most are in the part torn away in this battered specimen. 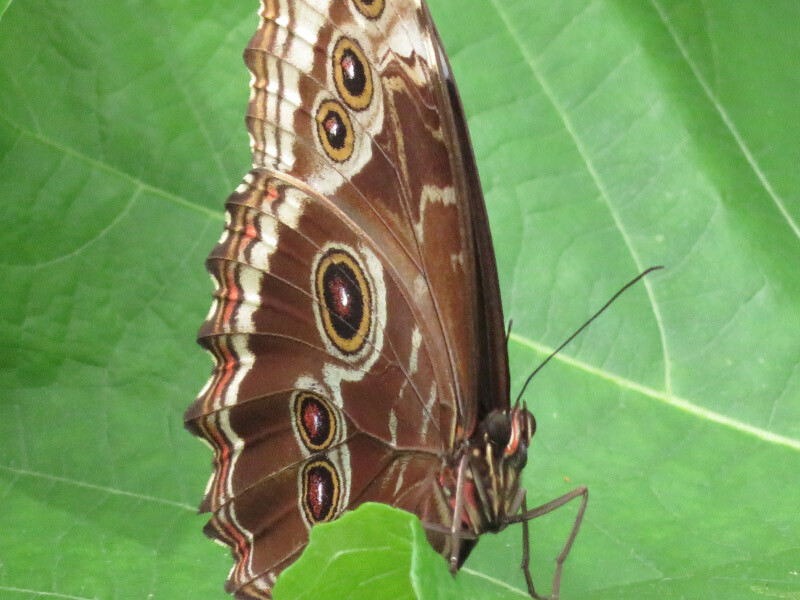 Switching to the owl butterfly - notice how different the eyes and palpi are from the blue morpho. They are brown and black and almost seem to match each other! The body looks furrier too! The center of the ‘eye’ spot might have a dusting of blue – viewed in the right light.